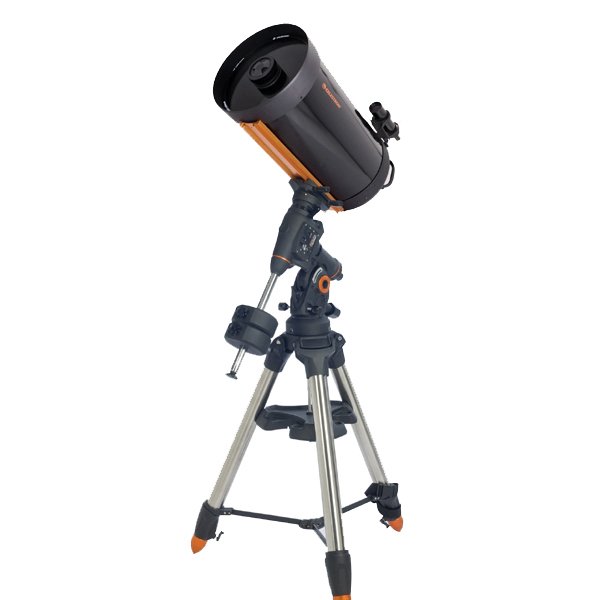 Celestron's CGEM DX 1400 features our high-end 14" Schmidt Cassegrian OTA with XLT coatings mounted on our brand new CGEM DX™ mount. The CGEM DX™ mount is the newest member of our fully computerized Equatorial mount series capable of carrying Celestron’s high-end 11" and 14" optical tubes. The CGE PRO style, 2.75" leg tripod holds even our 14" optics securely while dampening vibration, which is ideal for both imaging and visual observing. Capable of holding 50 lbs of payload and slewing at 5° per second, you will be able to instantly point to any of the celestial objects in the database.